” Wedding 101 workshop ” organized by Wedding.com.my (Features Top Vendors all over Malaysia). 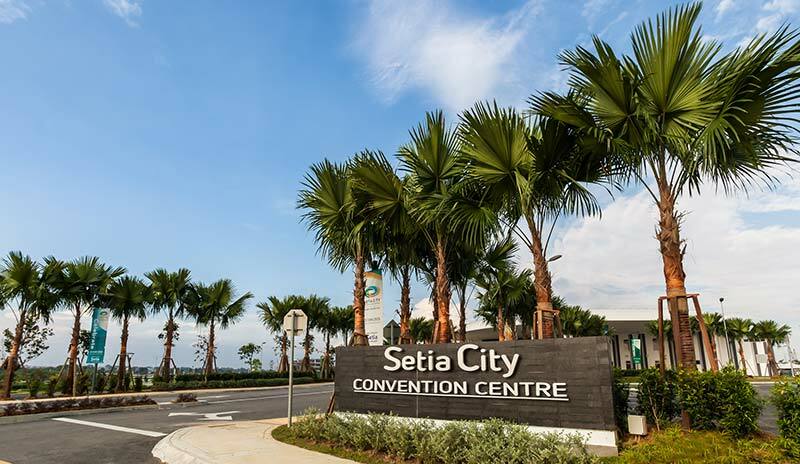 Wedding.com.my by Nuren Group has presented their 101 Wedding Workshop at the first convention centre in Malaysia to be certified for Green Building Index (GBI), Setia City Convention Centre. May I ask how many of you lovely couple are planning for wedding in early of this year. I’m believe most of the lovely couple will feel strained and don’t know how to plan it or worry will missed out something important in your wedding preparation list. I would like to recommend a good platform * Wedding.com.my * that you can get all your needed information at this website. I am honored to be invited to the exclusive and beautiful Wedding 101 workshop about two weeks ago. Let’s start with “ How to start planning your wedding ” after get proposal from Him and she said “ I Do ” what next to plan? Generally, most couple start with choosing the ROM and wedding date and should be the top priority in their to do list. Some people prefer to get a good date and followed the traditional way like fortune_telling to count and chosen a good wedding date which match with both of their birthday by the feng shui master. Chinese traditional family because it will impact every aspect of your big day. Most of the traditional Chinese family will prefer to hold the wedding ceremony and reception on the eighth or nine month of the lunar calendar. It’s believed that this is an auspicious month that will bring abundance of prosperity, fortune and conjugal love to the couple. ( eight symbolized ” fortune ” and nine symbolized ” forever love ” ) . I personally like to choose on December, a Christmas and festive season month. 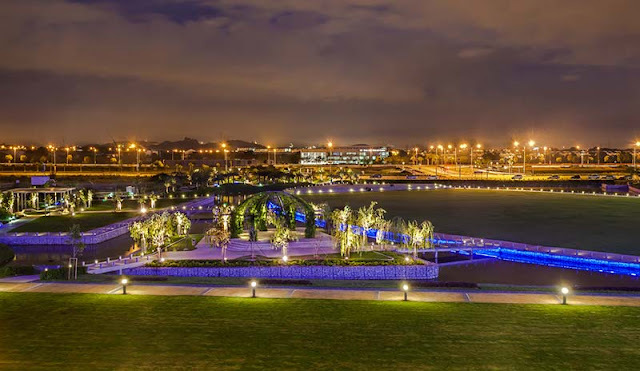 it’s also the most delightful season time of the year for wedding due to many public holiday fall on this month and the weather is warm and chill. 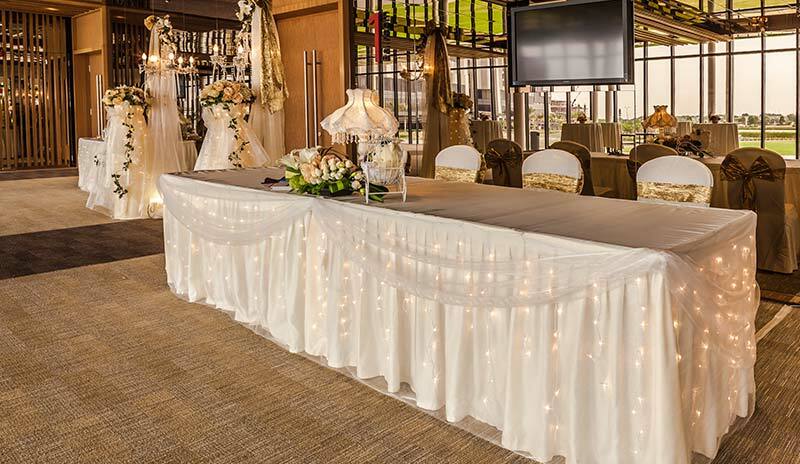 There are so many indoor or outdoor wedding inspirations during this festive month too. 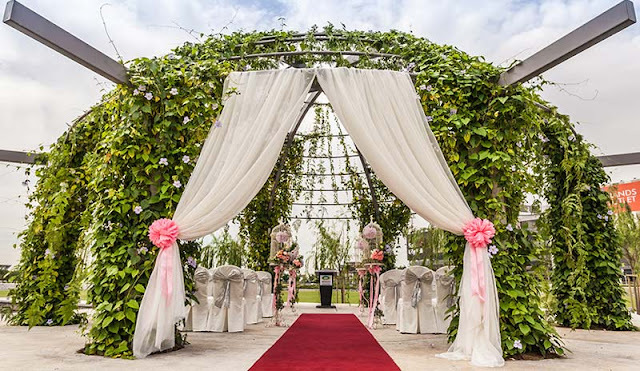 However the wedding date is also need to match with the couple’s eight characters if you are the couple or family that believe feng shui (eight characters means your birthday characters that used in fortune-telling). Good Feng Shui talk and sharing by Master Alex. Please look for Alex if you want him to help you choose the best wedding date to have a stable relationship and get to know what are certain should’s and shouldn’ts of your wedding. Perhaps, he can give you some ancient Feng Shui guidelines that will help you with the harmony and balance of the ceremony as well as with the reception. One of the vendor (White Visual) participated in this Wedding 101 Workshop, and give short introduction about his Team, studio, his Photography/videography skills and also his video editing theme. Honeymoon showcase by Lovesays of RJ Amigo Sdn. Bhd. Lovesays is a website which you can design a webpage with your love story and sweet photos and than send the invite to your relatives and friends ask them to donate to your webpage account. From there you can try gather the funds (donated from all your relatives and friends) to make your honeymoon dream come true. This is the last part sharing by vendor WL Wine & Liquor Warehouse tasting about their quality red and white wine that mostly imported from Australia. 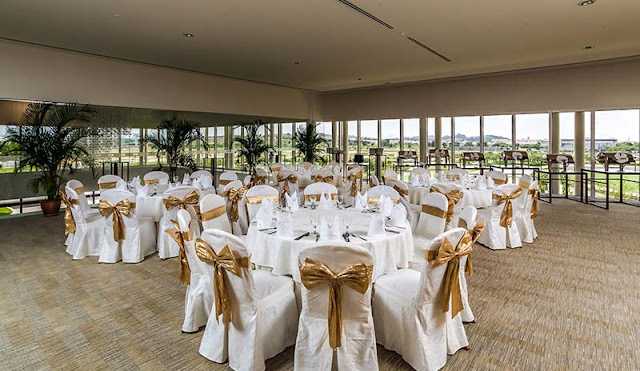 The workshop was designed to help people in planning their wedding and it also addressed to the tips and how to plan a wedding, wine tasting and Feng Shui talk. 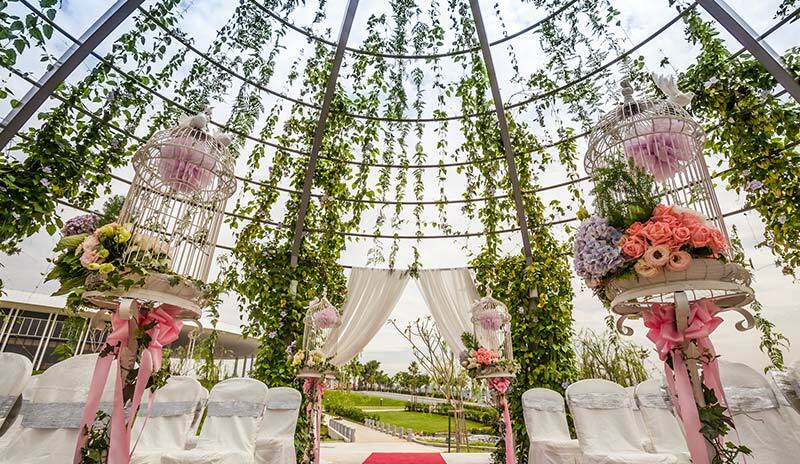 A Gazebo specially decorated by our co-organizer, Setia City Centre has attracted over 80 couples. It triggered the emotion of the couples for their future ROM day. 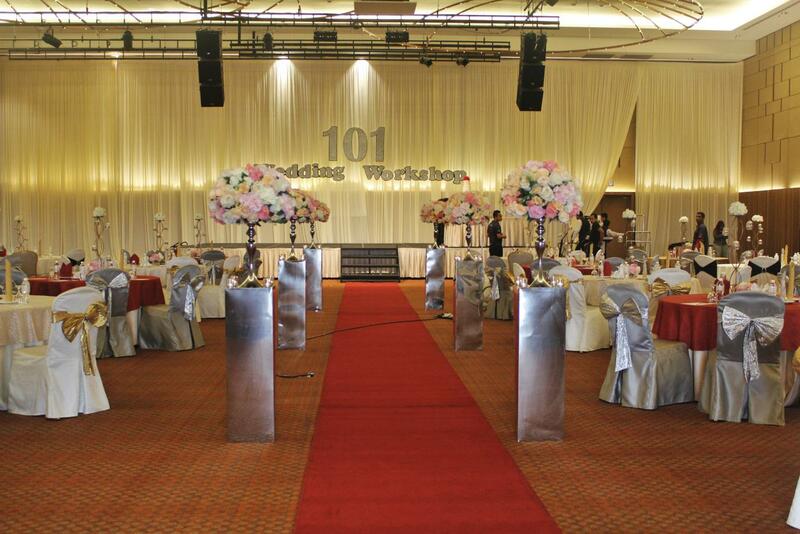 Over ten vendors participated in this ultimate Wedding 101 Workshop @ Setia City Convention Center. Photography showcase by Picture Creation, Videography showcase by White Visual, Make up showcase by Kres Bridal Image Connoisseur, Gift & Favour showcase by SS2U (Something Special to You). 3D Gift showcase by 3D Venture Sdn Bhd, Honeymoon showcase by Lovesays of RJ Amigo Sdn. Bhd, Wine showcase by WL Wine & Liquor Warehouse, Fengshui showcase by Alex Crystal and Feng SHui Jewellery Sdn Bhd, Caterer showcase by PALACE @ SETIA City from Sharimala and last but not least a Decoration showcase by the Star Garden Florist from Sharimala. “Wedding.com.my provides free wedding consultation for everything you need for your wedding. Visit us at wedding.com.my/planning to make an appointment at our showroom in JayaOne,” said Petrina, the CEO of Nuren Group. Just a kind reminder that most of the Chinese restaurants will be fully booked during the above peak season. 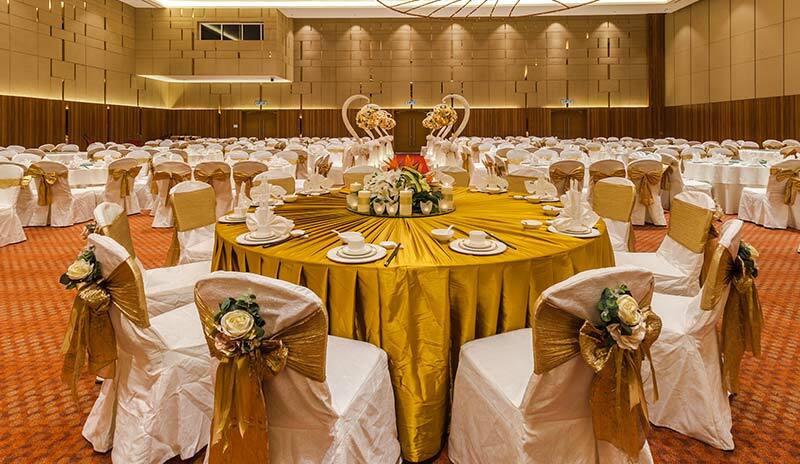 So if you have plan to have a wedding in your auspicious month, do make your booking early to secure the wedding venue and the good date you have choose. 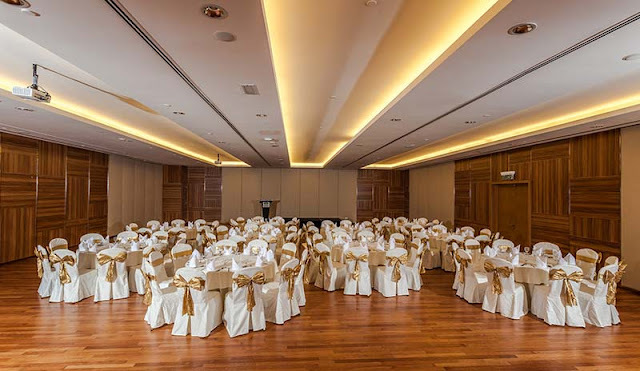 Here a good recommendation great venue for your wedding ceremony or reception, as they inspire you with a Dream Oriental setup, followed by a Glam Wedding, at the highly sought after venue of spacious ballroom at Setia City Convention Centre. 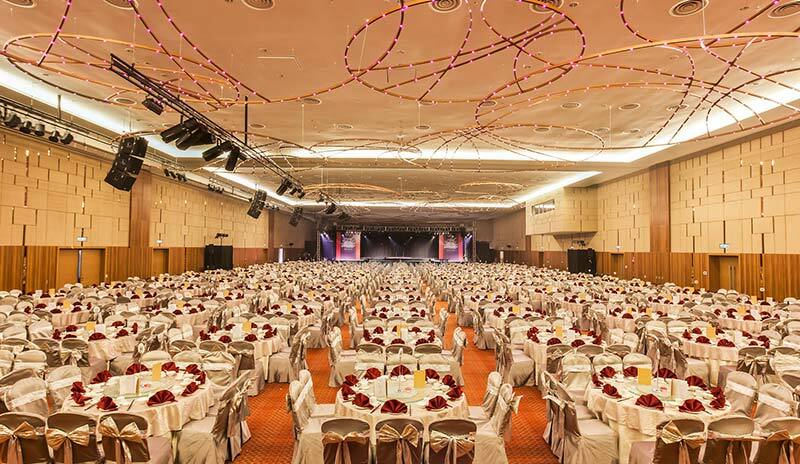 Wonderful wedding reception ideas and amazing table settings provided by you from Wedding.com.my at beautiful venue Setia City Convention Centre. 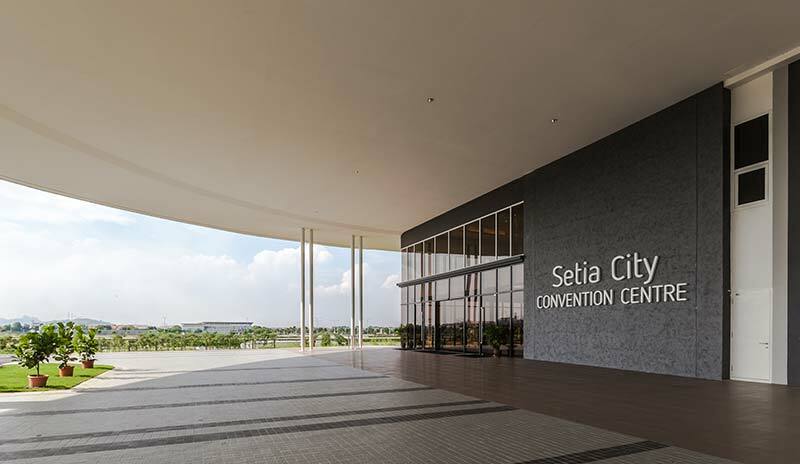 The convention centre prepared by Setia City has a comprehensive range of facilities such as for conferences, meetings, seminars, workshops, weddings and more. 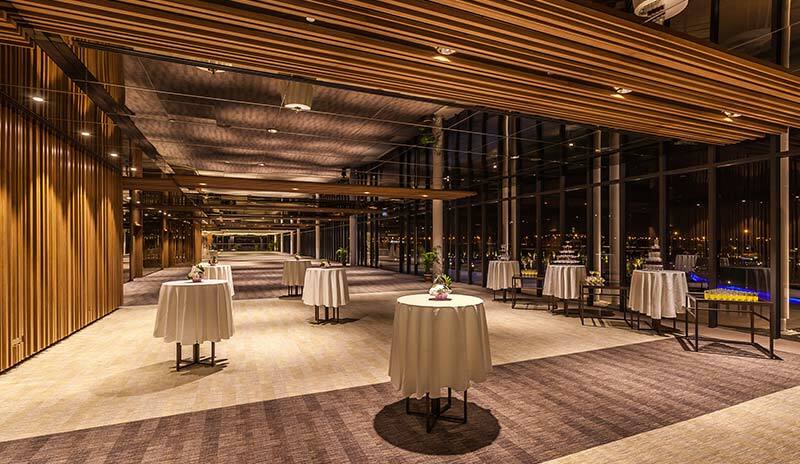 Their grand ballroom can house up to 2,000 seating capacity and 8 function rooms for private events. The Setia City Convention Centre boasts a spectacular pillar-less Grand Ballroom with gardens outdoor environment too, while spacious convention centre is an exclusive and sophisticated multi-event venue where hospitality meets luxury. Don’t miss the chance to view this beautiful venue. Apart from the about sharing, if your wish to get more details, please feel free to meet your wedding expert platform at * Wedding.com.my * that provide you with all useful information from top to toe in one center and also find top vendors all over Malaysia inside the link.